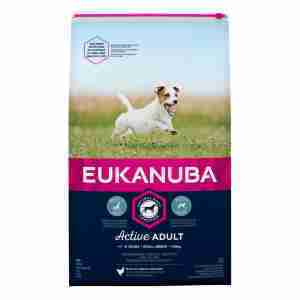 Eukanuba Active Adult Small Breed is a tailored dry food developed to provide specialised nutrition for small breed dogs up to 7 years old. This food contains 15% fresh chicken which ensures high quality protein. Special blend of natural nutrients support your dog’s overall wellbeing keeping him active and healthy. Eukanuba Active Adult Small Breed kibble has a special shape, which helps keep your dog’s teeth clean. This along with Denta defense formula make it an ideal solution for improving the dental hygiene. Skin and coat can benefit from natural sources of Omega 3 and 6 fatty acids and antioxidants help boost the immune system. Prebiotics FOS, proven to stimulate beneficial bacteria and beet pulp support digestive function. Yucca extract help regulate the intestinal flora reducing stool odour. L- carnitine keeps weight under control. Protein 30%, fat content 18%, Omega 6 fatty acids 3.7%, Omega 3 fatty acids 0.46%, crude ash 6.5%, crude fibres 2.7%, calcium 1.4%, phosphorus 1.2%. Vitamin A 48425IU, vitamin C 61mg, vitamin D₃ 1607IU, vitamin E 269mg, beta-carotene 5.3mg, L-carnitine 50mg,cupric sulphate pentahydrate (copper) 13mg, potassium iodide (iodine) 2.6mg, ferrous sulphate monohydrate (iron) 68mg, manganous sulphate monohydrate (manganese) 39mg, zinc oxide (zinc) 114mg. Make sure that your dog has access to plenty of water. Good price fast delivery. 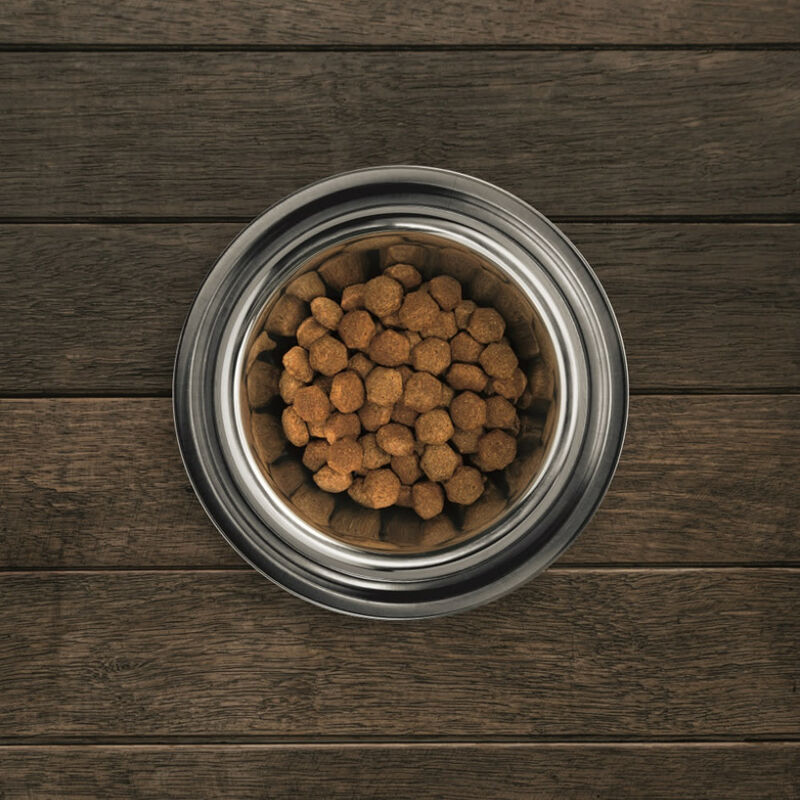 My dog is a fussy eater but will eat this dry food. Nice small pieces and crunchy. Our jack russell loves this stuff, it even makes her coat soft and shiny. Worth paying slightly more for something she really likes to eat and doesn't get bored of. My little rescue dog has always had a sensitive stomach but since being weaned from puppy food to Eukanuba Adult Small Breed, she's been much better. She's fit and looks fantastic too!